Notes The Grille sIG33 Ausf H was another first attempt to construct a self-propelled infantry gun on a tank chassis. 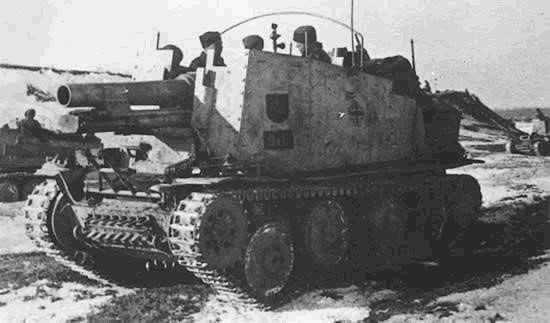 As with previous models the armament was to be the 150mm sIG33 and the chassis was from the Czech built Panzer 38(t) Ausf H. The chassis was initially used on the Marder III in which the engine was centrally mounted, this meant that the gun to be mounted more forward. It featured an open topped fighting compartment which also carried the crew and limited supply of ammunition. The sIG33 Ausf H saw service in North Africa, Italy, Russia and France.